People often tell me that my quilts have a real graphic quality about them, and that could be because I was trained as a graphic designer. 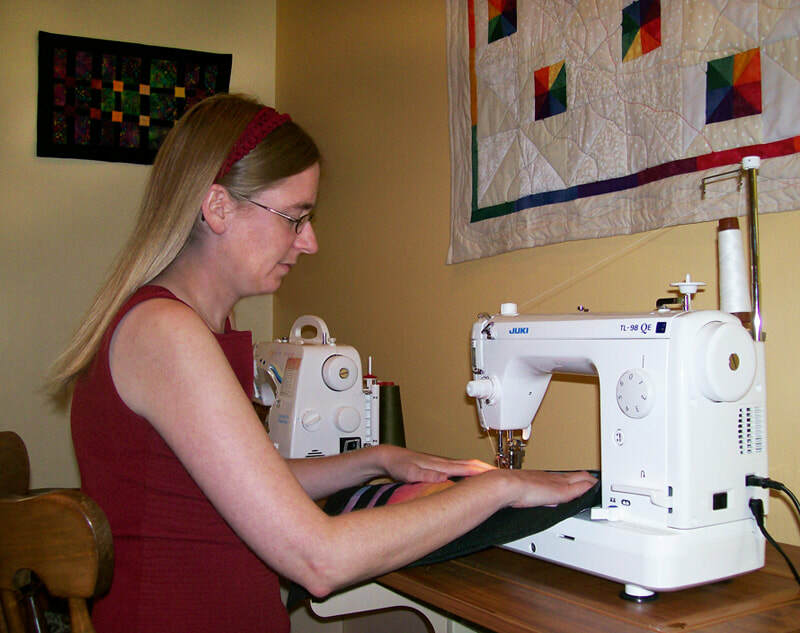 I often use the computer to design my quilts before I create them, and each quilt usually goes through many transitions before the design is solidified. I enjoy making both traditional pieced abstract quilts and also representational landscape quilts. With traditional quilts I enjoy the secondary patterns that start to emerge when the blocks are joined together and also how a design will look different if the colors or layout is changed. Lately I’ve been experimenting with traditional blocks but creating them in a non-traditional way by fusing smaller pieces to create each colored piece which also adds visual texture.